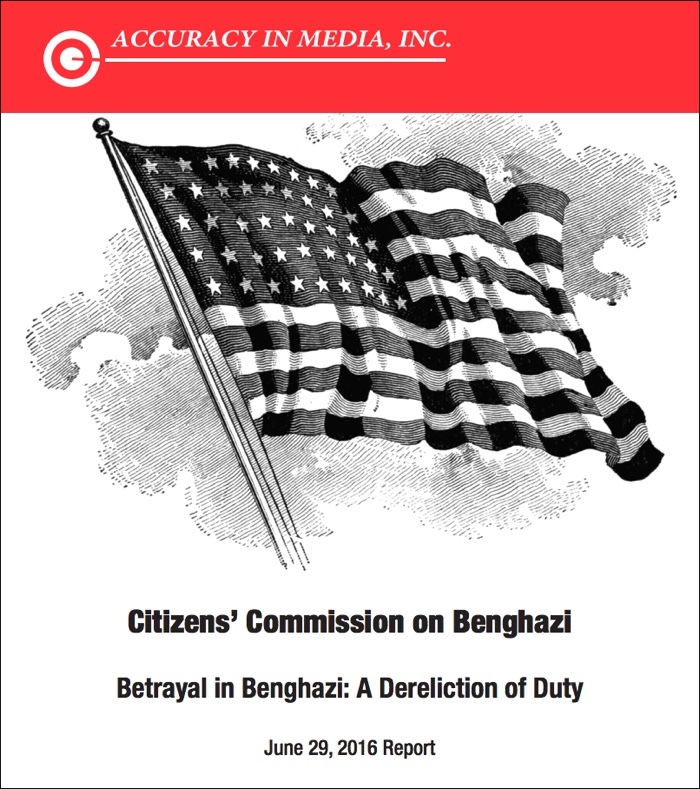 Today, July 30th, 2013, we are announcing the creation of the Citizens’ Commission on Benghazi. The purpose of the commission is to attempt to determine the truth and accuracy of what happened in Benghazi, Libya on September 11th, 2012, in reference to the terrorist attack on the U.S. diplomatic compound, which resulted in the death of four Americans, including the ambassador to Libya, Chris Stevens. Also, we will be looking at what led up to it, in the days, weeks and months that preceded the attack; and how it was dealt with by the Obama administration, the media and Congress in the aftermath of the tragic events of that day, which was the 11th anniversary of the 9/11 terrorist attacks on New York and Washington, D.C. in 2001. While Congress has held a number of public hearings on Benghazi, in October 2012, December 2012, January 2013, February 2013 and May 2013, and the Accountability Review Board, which was appointed by then Secretary of State Hillary Clinton, and was thus, in essence, an internal investigation, we believe that Congress, the media and the American people still have not been given a true account of what happened, why it happened and on whose orders the various actions, and inactions, occurred. 1) Why did we keep the diplomatic mission open after two attacks earlier in 2012 against the U.S. mission? 2) Why was Ambassador Stevens’ August 16, 2012, request for additional security, in a cable to the U.S. State Department, denied? This cable followed an August 15 “emergency meeting” in Benghazi. 3) Why were military assets not brought to bear during the seven or more hours that this event lasted, both in the Temporary Diplomatic Mission and the CIA Annex approximately one mile away? 4) Were any troops or security personnel ordered to not leave Tripoli, Libya that night to go to Benghazi to participate in any rescue efforts, and if so, why? 5) Where was President Obama that night, who did he communicate with about the events in Benghazi, and what were his orders? 6) Was the failure to bring military assets to bear in a way that might have saved some of those lives a dereliction of duty? 7) What was the origin of the story that the attack in Benghazi was sparked by a spontaneous demonstration related to an anti-Islam video that had shown up on YouTube, and which had actually sparked demonstrations in Egypt and other countries in the region? 8) Did the various statements from the administration reflect a belief that this was a spontaneous demonstration that got out of hand, or a deliberate, planned terrorist attack with al-Qaeda involvement? 9) Who ordered then-UN Ambassador Susan Rice’s original talking points, and who ordered the changes to the talking points, such as to eliminate the notion that this was an al-Qaeda event, before her five Sunday talk-show appearances on the Sunday after the September 11th event? 10) Why do Administration officials continue to deny that they received no contradictory reports regarding a protest in Benghazi when numerous reports have shown that a) there was no protest, and b) that officials learned well before Susan Rice’s Sunday appearances that there was no protest? Why did the intelligence community’s reports outweigh testimony from those on the ground? There are others we are also planning to invite, or are in the process of inviting, to be part of the Commission. Then there are the people we will be inviting to testify and answer questions before our Commission. We will be inviting anyone with first-hand knowledge of events that took place before, during and after the attacks in Benghazi that night. We will be talking to journalists, military people, and government officials with first-hand knowledge of events, up to and including Hillary Clinton, Susan Rice and Thomas Pickering. We will be inviting the authors of two new books on Benghazi: Benghazi: The Definitive Report, by Brandon Webb and Jack Murphy, and Under Fire: The Untold Story of the Attack in Benghazi, by Fred Burton and Samuel M. Katz. It is our hope that people who haven’t yet told their stories will now come forward. In addition, we will invite some of the whistleblowers who spoke to the House Oversight and Government Reform Committee in May, including three career State Department officials: Gregory N. Hicks, the deputy chief of mission at the U.S. Embassy in Libya at the time of the Benghazi terrorist attacks; Mark I. Thompson, a former Marine and now the deputy coordinator for Operations in the agency’s Counterterrorism Bureau; and Eric Nordstrom, a diplomatic security officer who was the regional security officer in Libya, the top security officer in the country in the months leading up to the attacks. Now is the time for all good men to come to the aid of their country, to help explain, “What difference does it make” how and why these people died in Libya. Did our elected and appointed leaders do enough to protect our ambassador and other Americans involved, and if not, why not? As of now, our plans include a conference on September 16th. But it is our firm belief that people sitting at home, watching this on TV or over the Internet (at a new website we are in the process of creating for this project) will feel compelled to step out of the shadows, and bring new insights and information to this investigation that will lead to additional conferences or meetings by the Commission. We will present our findings and conclusions to the White House, to Congress, to the media, and the whole report and video of the proceedings will be permanently available online.